We are a leading Manufacturer of private parking lock from Mumbai, India. 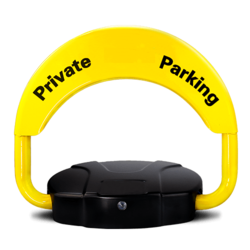 Plock 2 is eSSL’s second generation of parking locks. Plock 2 keeps all original features of Plock 1 and is equipped with new auto-sensing function. User can easily manage his/her parking space by placing a sensor in a cigarette lighter receptacle. Compared with traditional parking locks, Plock 2 does not need any manual operation, which makes parking experiences more ideal. It is a competent private parking manager.